പെൻഘു (Hokkien POJ: Phîⁿ-ô͘ or Phêⁿ-ô͘ ) അഥവാ പെസ്കാർഡോർസ് ദ്വീപുകൾ തായ്വാൻ കടലിടുക്കിലെ 90 ദ്വീപുകളും അടങ്ങുന്ന ഒരു ദ്വീപ സമൂഹമാണ്. മാഗോംഗ് എന്നറിയപ്പെടുന്ന ഏറ്റവും വലിയ ദ്വീപിൽ സ്ഥിതിചെയ്യുന്ന മാഗോങ്ങാണ് ഇവിടത്തെ ഏറ്റവും വലിയ നഗരം. 141 ചതുരശ്ര കിലോമീറ്ററോളം (54 ചതുരശ്ര മൈൽ) വ്യാപിച്ച് കിടക്കുന്ന ഈ ദ്വീപ് ചൈന റിപ്പബ്ലിക്കിലെ (Taiwan),പെൻഘു കൗണ്ടിയുമായി ചേർന്ന് കിടക്കുന്നു. ലീൻചിയങ്ങിന് ശേഷം ഇത് ഏറ്റവും ചെറിയ കൌണ്ടികളിൽ രണ്ടാമത്തേതാണ്. Cooper, J. P., ed. (1979). The New Cambridge Modern History IV: The Decline of Spain and the Thirty Years War, 1609–59. 4 (reprint ed.). CUP Archive. ISBN 978-0-521-29713-4. OCLC 655601868. Covell, Ralph R. (1998). Pentecost of the Hills in Taiwan: The Christian Faith Among the Original Inhabitants (illustrated ed.). Hope Publishing House. ISBN 978-0-93-272-790-9. OCLC 833099470. Freeman, Donald B. (2003). Straits of Malacca: Gateway or Gauntlet?. McGill-Queen's Press - MQUP. ISBN 978-0-7735-2515-3. OCLC 2004401056. Loir, Maurice (1886). L'escadre de l'amiral Courbet. Paris: Berger-Levrault. LCCN 03013530. OCLC 23421595. Shepherd, John Robert (1993). Statecraft and Political Economy on the Taiwan Frontier, 1600–1800 (illustrated ed.). Stanford University Press. ISBN 978-0-8047-2066-3. OCLC 25025794. Thompson, Lawrence G. (1964). "The earliest eyewitness accounts of the Formosan aborigines". Monumenta Serica. 23: 163–204. JSTOR 40726116. Thomson, Janice E. (1996). Mercenaries, Pirates, and Sovereigns: State-Building and Extraterritorial Violence in Early Modern Europe (reprint ed.). Princeton University Press. ISBN 978-1-4008-2124-2. OCLC 860392554. Wills, John E., Jr. (1998). "Relations with maritime Europeans, 1514–1662". എന്നതിൽ Twitchett, Denis C.; Mote, Frederick W. The Cambridge History of China: Volume 8, The Ming Dynasty, 1368–1644, Part 2. Cambridge University Press. pp. 333–375. ISBN 978-0-521-24333-9. —— (2006). "The Seventeenth-century Transformation: Taiwan under the Dutch and the Cheng Regime". എന്നതിൽ Rubinstein, Murray A. Taiwan: A New History. M.E. Sharpe. pp. 84–106. ISBN 978-0-7656-1495-7. OL 8055024M. —— (2010). "Maritime Europe and the Ming". എന്നതിൽ Wills, John E., Jr. China and Maritime Europe, 1500–1800: Trade, Settlement, Diplomacy, and Missions. Cambridge University Press. pp. 24–77. ISBN 978-0-521-43260-3. OL 24524224M. Wright, Arnold (1908). Cartwright, H. A., ed. Twentieth century impressions of Hongkong, Shanghai, and other treaty ports of China: their history, people, commerce, industries, and resources, Volume 1. Lloyds Greater Britain publishing company. OL 13518413M. Cook, Harold John (2007). Matters of Exchange: Commerce, Medicine, and Science in the Dutch Golden Age. Yale University Press. ISBN 0-300-13492-4. Deng, Gang (1999). Maritime Sector, Institutions, and Sea Power of Premodern China. Greenwood Publishing Group. ISBN 0-313-30712-1. Idema, Wilt Lukas, ed. (1981). Leyden Studies in Sinology: Papers Presented at the Conference Held in Celebration of the Fiftieth Anniversary of the Sinological Institute of Leyden University, December 8-12, 1980. Volume 15 of Sinica Leidensia. Rijksuniversiteit te Leiden. Sinologisch instituut (illustrated ed.). BRILL. ISBN 978-90-04-06529-1. Li, Qingxin (2006). 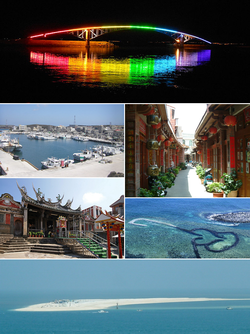 Maritime Silk Road. Translated by William W. Wang. China Intercontinental Press. ISBN 978-7-5085-0932-7. Parker, Edward Harper, ed. (1917). China, Her History, Diplomacy, and Commerce: From the Earliest Times to the Present Day (2nd ed.). J. Murray. LCCN 17030891. OL 6603922M. 1 Lienchiang County commonly known as Matsu. 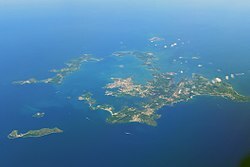 2Diaoyutai Islands are controlled by Japan, (called Senkaku Islands). Notes: 1: Inactive dispute. 2: Divided among multiple claimants. ഈ താൾ അവസാനം തിരുത്തപ്പെട്ടത്: 14:46, 1 ഫെബ്രുവരി 2019.